Mack 11’s new song “Jackie Joyner” comes in like that first day of nice 45 degree weather after a long ugly winter. A quick 1-2 punch, Mack’s “Jackie Joyner” is short and sweet, the perfect companion we’ve been waiting to thrash through the trunk with cruising up and down lakeshore with the windows down. The new song is the result of Mack 11’s aspirations for the main stage, another stepping stone toward his own sing along with the masses. Mack’s ascent into the rap game continues to show star quality work ethic. With hundreds of releases stacked up, it’s surprising to see that none of them reach back further than a little over a year ago. 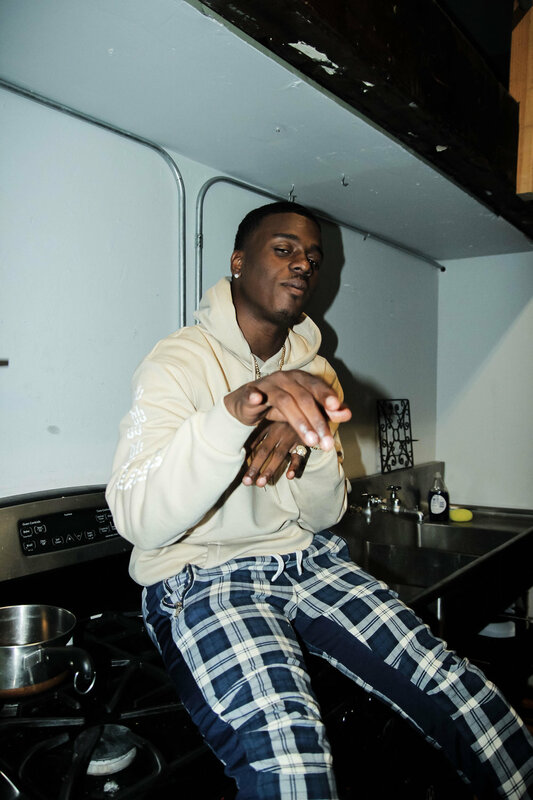 That includes three projects dropped in 2018 alone, and after scrolling his tracklist of singles featuring Valee, HoodRich Pablo Juan, and Zmoney, to name a few, Mack 11 begins to look more like a diamond in the rough instead of a new face in the crowd. Although Mack hasn’t been perfecting the sauce for long, it is evident that he has an adaptive ear for the music. Stretching back to his early work you can feel the essence of the westside with a little Cash Money sprinkled around it. Whereas Mack’s more recent singles featuring producers like 808 Mafia’s Cicero, SnapBack, or ZTheSavage, showcase his taste for more progressive production. It feels like Mack 11’s on the verge of making a run for the national stage, and going forward his audience can expect to see some well timed moves come summer time. Find out more about Mack 11 and the new song in our Q&A below! The hook is clever so I gotta know, what was going on when you came up with that Jackie Joyner line? I came up with the hook listening to the beat really thinking about how the police used to chase us off the corner lol I ran like Jackie Joyner I wasn’t going to jail. You’re very clear about where you came from and where you’re going. If you could give the youth any advice on life, what would you tell them? You can become anything you dream. Just don’t let up, always keep hope alive. From what I’ve seen you like to keep your tracks short and sweet. Do you keep the length of your tracks in mind when recording, or do you just let the beat talk and feel it out? Honestly I just let the beat talk and feel it out. I get in and out really, it depends on the mood I’m in. But if the beat a soulful one I might go 2mins. Consistency has always been a strong point in your releases. What are some moves you’re excited about making in 2019? Well I’m just really excited about my upcoming mixtape I feel like this the one that might wake the music game up cuz they been sleep for a minute, 19 gone be a good year.